For over ten years, LT Construction & Remodeling has been helping Asland residents turn their visions of their family homes into a reality. Our remodeling contractors have the ability to help you with any interior remodeling project that you have been considering. We have remodeled countless basements, bathrooms, and kitchens. We construct new garages and room additions. We provide unique solutions to home improvement problems, like replacement windows. If you have an remodeling project in mind, we have the skill to help you with it. At LT Construction & Remodeling, our remodeling contractors take a great deal of pride from our work. This is because we understand the importance of your Asland home. Every time an Asland family trusts us with their home, our remodelers treat it as an immense honor. We strive to honor that trust by working with you at every stage of your remodeling project to ensure the most customized and highest quality work. Call us today if you have been considering a remodeling project at your Asland home. Our team has the knowledge, skill, and experience to make that project come to life. Our polite staff would be happy to answer all your questions about your prospective project. We can schedule your appointment today. The kitchen is the heart of your family home. You and your family rely on this living space for your most important everyday tasks. Your family gathers here after a long day to share a meal and the day’s events. You prepare and entertain in this living space. At LT Construction & Remodeling, our goal is to improve these family memories by beautifying your kitchen and to facilitate all of your cooking and entertaining needs. Our Asland kitchen remodelers have the skill and knowledge necessary to improve the aesthetic of your kitchen while also customizing the space to your unique needs. If you have never conducted a remodeling project, the bathroom is the perfect space to start. First off, the area is relatively small, so you will be able to realize the benefits as quickly as possible. Second, because you can improve both the look and the functionality of the bathroom, this quick remodeling project results in substantial improvements. Our bathroom remodeling contractors in Ashland can customize your bathroom to your aesthetic and functional needs. If your Asland home seems more crowded that it used to, you should consider constructing a new room addition. A lot of remodeling contractors lack the construction skills to get these extensive projects done. At LT Construction & Remodeling, our Asland remodeling contractors are extremely adept at construction room additions. The best part about a room addition project is the fact that you can design the room to facilitate whatever you want. Even better, our room addition contractors have the ability to construct this customized space to fulfill you and your family’s unique needs. 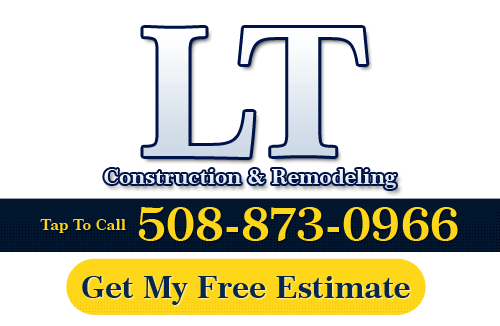 If you need to hire a professional Asland remodeling contractor, call LT Construction & Remodeling at 508-873-0966, or complete our online request form.